Join your Auburn Alumni Association as a contributing member today! Welcome to your Auburn Alumni Association Family – Where You Belong. 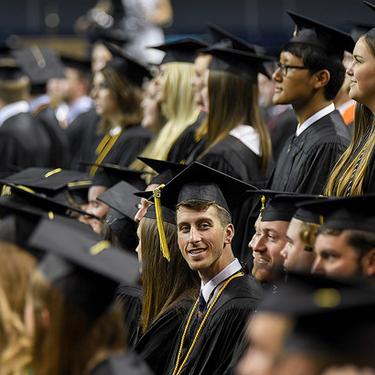 You belong to a family of more than 238,000 living Auburn University alumni. 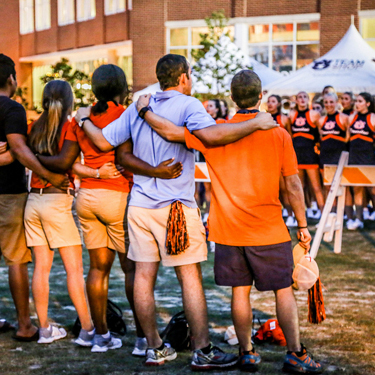 Your Auburn Alumni Association is here to support you, just as family should. All Auburn University graduates are automatically General Members of the Auburn Alumni Association, with no membership contribution required. Upgrade to a contributing membership today and join more than 42,000 graduates, alumni and friends. You will receive a multitude of additional benefits, such as quarterly issues of Auburn Magazine, official membership packet with car decal, lapel pin and membership card, and a variety of local and national discounts. Plus, your contribution is tax deductible and is counted toward Auburn’s alumni participation rates, which factor into Auburn University’s national rankings. Thanks to the support of our contributing members, your Auburn Alumni Association is able to provide a multitude of programs and services for Auburn alumni and friends. You do not have to be a graduate to join. 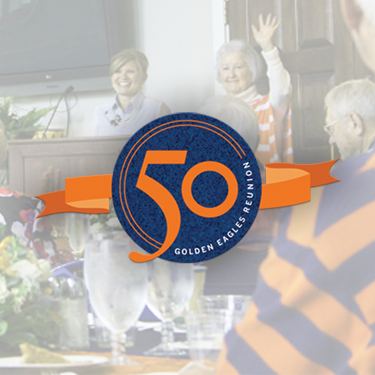 Join your Auburn Alumni Association for life and receive a lifetime of benefits! As a life member, you’ll receive your official life magnet, car decal, personalized membership card and lapel pin, along with the award-winning Auburn Magazine four times a year. Benefits range from discounts on insurance and moving services to free entry and food at the Auburn Hospitality Tailgate on home game days. Installment plans are available; payments are made once a year for five years, at the end of which you are a fully paid life member. Paying life members receive annual materials until all payments are completed. Support your Auburn Alumni Association with an annual membership! Annual memberships are active for one year to the end of the month purchased. Annual members receive a lapel pin, car decal and personalized membership card, along with four issues of the award-winning Auburn Magazine. There are a full range of national and local discounts, from health insurance to online shopping to local restaurants. Save $15 today by joining your Auburn Alumni Association with a three-year membership. Three-year memberships are active for three years from the original purchase month. Members receive their new annual packet in the mail at the same time each year, and benefits are continuous! Stay connected to your alma mater by joining the association! Recent graduates of Auburn University receive a special discounted annual membership rate of $25 (regularly $50). Membership is a great way to start networking through our 100 Auburn Clubs and Auburn Alumni Affiliates around the world. Membership also provides great discounts on everything from health insurance to local eateries to online shopping. Age certainly has its benefits: wisdom, grace and, best of all, discounts! Alumni and friends over the age of 65 receive a special discounted life membership rate of $425 for an individual and $587 for a joint. Both members of the household must be 65 or older to receive this special rate. As a life member, you’ll receive your official life magnet, car decal, personalized membership card and lapel pin, along with the award-winning Auburn Magazine four times a year. Benefits range from discounts on insurance and moving services to free entry into the Auburn Hospitality Tailgate on home game days. Alumni and friends 65 years and older receive a discount on annual membership! Individual memberships are just $40 (regularly $50) and joint memberships are $55 (regularly $65). Annual memberships are active for one year to the end of the month purchased, and members receive a lapel pin, car decal and personalized membership card, along with four issues of the award-winning Auburn Magazine. Take advantage of a lifetime of benefits! Join the Auburn Alumni Association for life at your special discounted faculty and staff rate. You do not have to be a graduate to join. Life members will receive quarterly issues of the award-winning Auburn Magazine, the official membership packet with lapel pin, car decal and personalized membership card, local discounts and access to the Auburn Alumni Directory app. Installment plans are available as well. Join the association today, where you belong! Join the Auburn Alumni Association at your special discounted faculty and staff rate! You do not have to be a graduate to join, and we invite you to take advantage of the many opportunities made available to you. Members receive quarterly issues of the award-winning Auburn Magazine, the official membership packet with lapel pin, car decal and personalized membership card, local discounts and access to the Auburn Alumni Directory app. Join the association today, where you belong! Calling all life members! Support the next generation of Auburn students as a sustaining life member. Sustaining life member’s annual contributions directly fund the Auburn Alumni Association Scholars Endowment to provide scholarships to children of life members. Every contribution is valued – together, they all add up! Sustaining life members will receive an official lapel pin and an annual scholarship impact report, plus contributions are 100% tax-deductible. Add your spouse to your existing fully paid life membership for $325. Your spouse will receive his or her official life magnet, car decal, personalized membership card and lapel pin–plus take advantage of all of the benefits and discounts membership offers! Your spouse does not have to be a graduate to join the association. Students can join the Auburn Student Alumni Association (SAA), the student chapter of the Auburn Alumni Association, with a one-year membership. SAA provides students with the opportunity to interact with other students as well as Auburn University alumni. There are fun events for members throughout the year, like the Color My College 5K Fun Run. Members receive a t-shirt and member discount card, plus other cool items. Established in 1999, SAA is currently the largest student organization at Auburn, with an average of 3,000 members. Students can join the Auburn Student Alumni Association (SAA), the student chapter of the Auburn Alumni Association as four-year members. The four-year membership saves $10 over the course of time as an Auburn student! SAA provides students with the opportunity to interact with other students as well as Auburn University alumni. There are fun events for members throughout the year, like the Color My College 5K Fun Run. Members receive a t-shirt and member discount card, plus other cool items. Established in 1999, SAA is currently the largest student organization at Auburn, with an average of 3,000 members. All Auburn University graduates are automatically General Members of the Auburn Alumni Association, with no membership contribution required. General Members have access to the online Auburn Magazine, are members of their local Auburn Club and receive regular updates from the Auburn Alumni Association. General Members may upgrade to a contributing membership to receive enhanced benefits. We are a member-based 501(c)3 organization funded by membership contributions, individual donations and corporate sponsorships/affinity program partners. We have a staff of 25 employees and mentor student interns who work with our team. Our membership base is one of the largest in the SEC, standing strong with more than 42,000 members. As a contributing member of the Auburn Alumni Association, you have access to a variety of discounts and special promotions. See the list of your current benefits below. * denotes a local Auburn benefit. 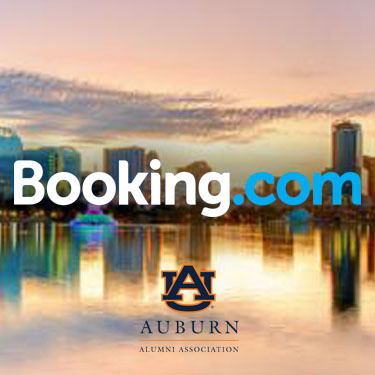 The Auburn Family welcomes our newest partner, Booking.com. Through this new partnership, Booking.com will donate a portion of all trips booked through this link back to the Auburn Alumni Association. 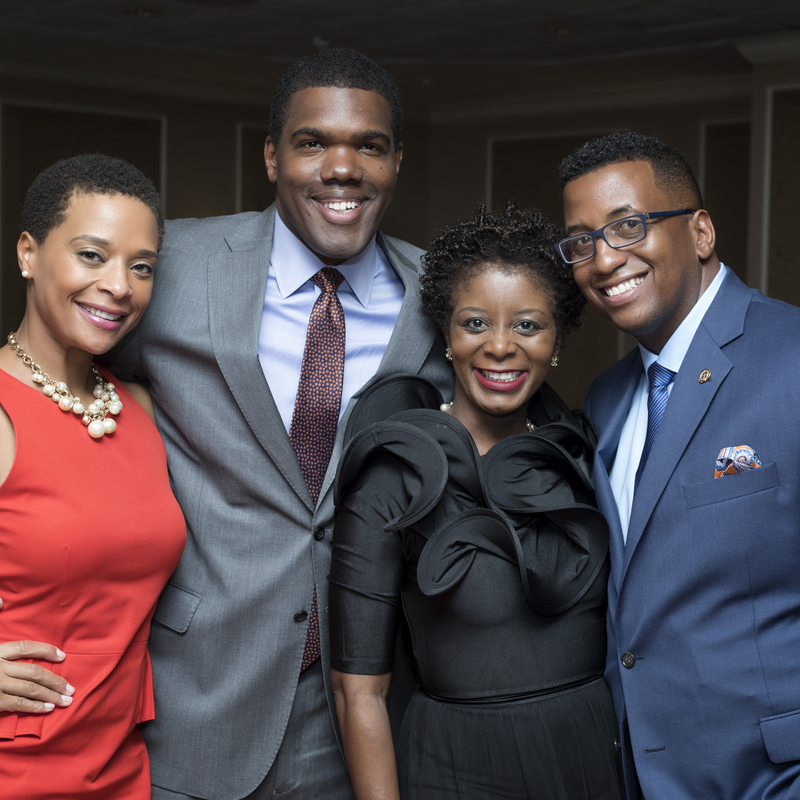 These funds help increase our strategic initiatives of engaging alumni, creating tangible events and programs and by providing student scholarships. Just book and they give back. The Hotel at Auburn University and Dixon Conference Center* – Receive a discounted rate. 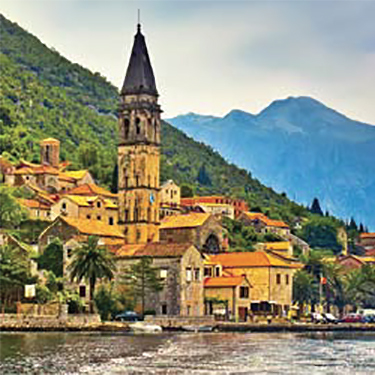 Marriott – Special rates and awards available with promo code ZXM. Anders Book Store* – 15% off all merchandise (excludes textbooks). Stamp Auburn* – Association members can buy one (of anything) get one free! Full Moon BBQ* – 10% off any catering through Full Moon BBQ. Island Wing Co* – 1/2 off an appetizer with a purchase of an entree. Momma Goldberg’s Deli* – Free nachos with the purchase of a large drink. Niffer’s Place* – $1 off any purchase. O Town Ice Cream – Free handmade waffle cone with a double scoop purchase. Shakey’s Pizza* – 15% off menu items, excluding alcohol and taxes. TCBY* – 10% discount for Association members. Taziki’s* – 10% off any catering orders from current Auburn, Montgomery and Opelika locations. Aquatics Center* – $25 off a semester pass or $75 off a yearly pass with membership card. Day Spring Shoppe* – 10% off on most items. Max Fitness* – $0 enrollment fee and $19.95/month membership. One Eighty Wellness Spa* – 10% off any service or product, not valid with other offers. Play It Forward Golf – Save up to 70% on greens fees when playing golf! Saugahatchee Country Club* – “Orange and Blue” club membership for two. Spa Auburn* – 15% off spa services, excluding medical procedures. CrossFit on the Plains – Free trial workout. Visit crossfitontheplains.com to register. Check It Out – 10% off discount excluding sales and specials. Taylor Made Designs – 20% off any purchase $20 or more. Jule Collins Smith Museum of Fine Art – 5% discount off all regularly priced merchandise in the JCSM shop. Gifts.com – Gifts.com provides tens of thousands of expertly curated gifts and unique ideas. Receive a 15% discount using the code: ALUMNI15. Personal Creations – Personal Creations offers a wide variety of customizable gifts for every recipient and occasion. Receive a 15% discount using the code: ALUMNI15. Shari’s Berries – Send chocolate covered strawberries, gourmet chocolates, delicious cake pops & other treats from Shari’s Berries. Receive a 15% discount using the code: ALUMNI15. 4 Seasons Cleaner* – 10% discount. Atlantic Relocation – Save today by calling Tom Larkins at 941-758-3844. Auburn Libraries* – Members of the association have on-site library privileges. Auburn Reprographics* – Current offer of 20% off supplies and 10% off printing. Cable and Internet – Get a $50 prepaid Visa card in addition to the best nationally advertised promotion for Charter, and Xfinity. GradMed – Short-term graduate insurance to help cover medical bills. Kaplan Test Prep – Use discount code: AUALUM100 for a $100 savings! GEICO – Auburn alumni now receive a special discount on car insurance. Mercer – Insurance, risk management and financial services. OLLI at Auburn* – $20 for an annual membership (excluding academic fee). SafeSpray Pest Control* – 10% discount to members when they sign up for annual pest control service. Tiger Limo* – Tiger Limo offers members a 10% discount. The Economist – Save 10% on a subscription to The Economist. Try 12 weeks for just $12, or subscribe for a full year and save. HughesNet – $30/month on satellite Internet plans, free installation, as well as a $50 Visa gift card with purchase! Call 1-888-306-7786 and use the coupon code “Hughes50”. Precision Door Service – Full service garage door company, serving Memphis and Huntsville, visit us online today and receive 5% off your invoice total (may be combined with other offers). Mention Auburn Alumni Association at time of booking. ProFlowers – Alumni will receive a 15% discount on an assortment of flowers, plants and gifts when using the code ALUMNI15. 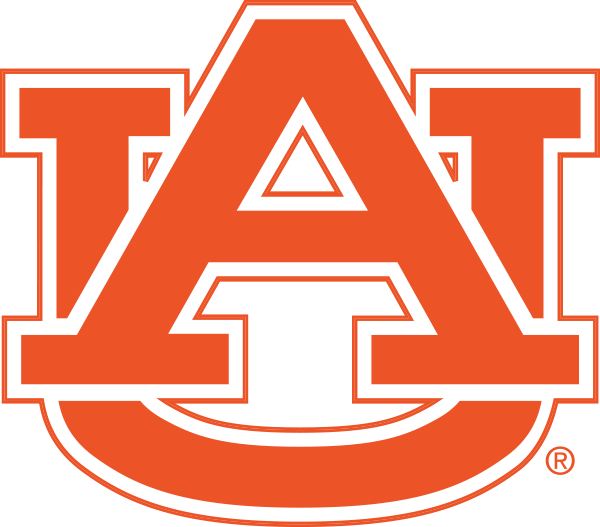 All members of the Auburn Alumni Association are automatically members of their local Auburn Club. 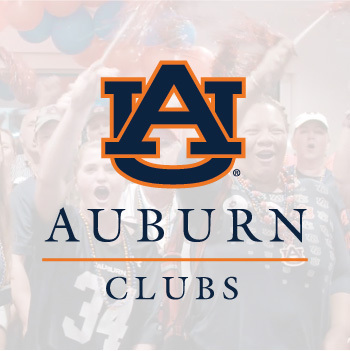 There are more than 100 Auburn Clubs and Auburn Alumni Affiliates across the world who offer the opportunity to connect with fellow alumni and friends. From game-watch parties to community service opportunities to scholarship fundraising, clubs and affiliates provide a great opportunity to stay connected to Auburn. Check the map above to see how many alumni are in your area or visit www.alumni.auburn.edu/clubs to find your local group. What are the new updates to Auburn Alumni Association membership? The Auburn Alumni Association is committed to the mission of advancing Auburn University by engaging all alumni and is promoting a more inclusive membership program. The association recognizes and appreciates the members and friends who have made a financial investment in the organization and will continue to do so. Moving forward, all Auburn University graduates will be recognized as General Members of the Auburn Alumni Association, regardless of financial contribution. We always speak of “The Auburn Family” and the recent changes to the association bylaws are an effort to bring every graduate into our organization, while still recognizing the importance of and benefits for our contributing members. All Auburn University main campus degreed graduates are General Members of the Auburn Alumni Association, with no membership contribution required. General Members may request to receive their complimentary Auburn alumni pin by updating their records at www.alumni.auburn.edu/update and selecting the pin request button. General Members have access to the online Auburn Magazine, are members of their local Auburn Club and receive regular updates from the Auburn Alumni Association. General Members may upgrade to a contributing membership to receive enhanced benefits. What does this mean for me as a contributing Annual or Life member? There are no new requirements or changes to your contributing membership benefits! I need to update my contact information. How do I do that? Visit alumni.auburn.edu/update or email aurecords@auburn.edu. I’m a life member, and my spouse wants to join. Can he or she be added? Spouses may be added to an existing paid life membership for $325. I recently joined the association, but my packet hasn’t arrived in the mail. When should I expect it? Packets are mailed first class USPS and typically take 2 weeks to arrive. I'd like to give an association membership as a gift. How do I do this? Gift memberships are available for purchase online (see all membership types above) or by calling 334-844-2960. We’re happy to send the membership packet to either you or the recipient. I'm looking for an old friend. How can I find his or her contact information? Our free Auburn Alumni Directory app is available for download in the Apple App Store, Droid store, or for use with a desktop computer. This secure app allows you to search for friends and network with other alumni in your field. Visit www.alumni.auburn.edu/app to read more about the app. Additionally, you may look up friends in our printed alumni directory, which is published every five years. Directories are able for viewing at the Auburn Alumni Center. To order a book for yourself, call 800-877-6554. Due to privacy laws, we cannot release personal information on individual alumni without their permission. We may be able to facilitate connections between individuals, however. For details, email aualumni@auburn.edu. Are there scholarships available for children of contributing members? Children of fully paid life members may be eligible for alumni scholarship assistance, provided they meet certain academic criteria. Parents must be fully paid life members by February 1 of the students incoming year. Visit www.alumni.auburn.edu/scholarship for more details or call 334-844-2995. What happens if my spouse and I, who have a joint life membership, elect to divorce? Former spouses may decide either to split the joint membership into separate memberships (with any remaining payments divided equally), or one spouse may keep the membership in full. The written consent of both parties is necessary. I agreed to pay five annual installments to complete my life membership. I have missed a payment. What should I do? Payments are due the same month each year, and payment reminders are sent via mail, email, and phone calls. After a payment is 30 days late, your membership status is inactivated, and you no longer receive membership benefits. To reopen your membership, you will need to pay any past-due installments to update your payment schedule. Installment payments that were made over five years ago cannot be credited toward a new life membership. A relative recently passed away. Who should I notify as regards his or her membership status? Email our records department at aurecords@auburn.edu. Memberships are closed after a person’s death and are not transferrable. 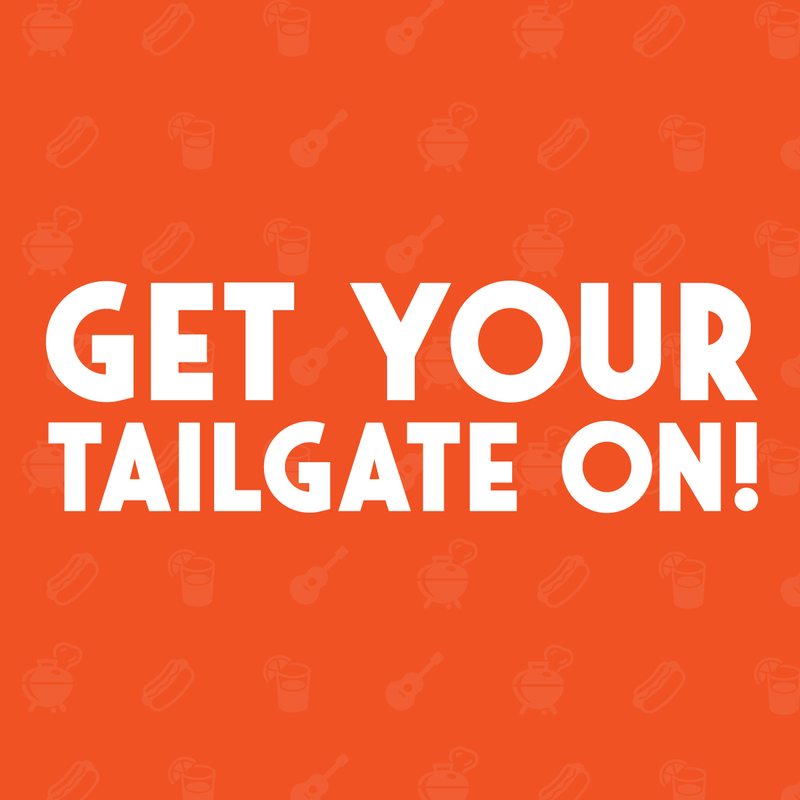 What is the Auburn Hospitality Tailgate? The Auburn Hospitality Tailgate is a celebratory event hosted by the Auburn Alumni Association prior to each home football game. The tailgate opens three hours before kickoff and closes 30 minutes before kickoff. Access to the tailgate is free to everyone. Members receive a special welcome gift, along with a free scoop of ice cream from the recreated Sani-Freeze dairy bar. There are several food options available for purchase. For more information or to register for the tailgate, please visit www.alumni.auburn.edu/hospitality-tailgate. Do I have to bring my membership pin or card to get into the Auburn Hospitality Tailgate? Membership materials are not required to access the tailgate. Alumni staff will be available to check you in. Pre-registration is encouraged. You can register at alumni.auburn.edu/hospitality-tailgate. We've had a birth in our family! How do I contact Auburn Magazine to submit a birth announcement? Can I receive a Tiger Cub Certificate? To submit a birth announcement to Auburn Magazine, send an email to aubmag@auburn.edu containing the parents’ names, place of residence, the child’s full name and date of birth. Parents must be contributing members of the Auburn Alumni Association to receive a Tiger Cub certificate; to request a certificate, email aualumni@auburn.edu. Does my contributing membership include library and aquatics center privileges? 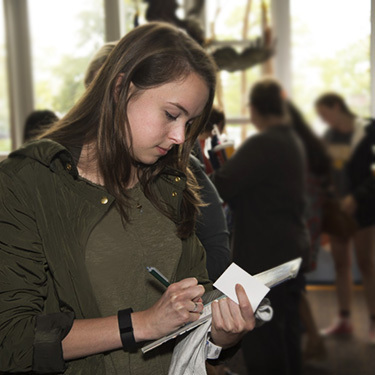 Contributing association members may access the Ralph Brown Draughon Library* and James E. Martin Aquatics Center on campus. You will need to visit the Office of Identity Management, located in the OIT Building at 300 Lem Morrison Drive, in order to receive an ID card. For details, see http://www.auburn.edu/oit/idm/. You will need to show a current form of ID and current membership card. For more information about the aquatics center, see http://aquatics.auburn.edu/. * Library usage is restricted to checking out books and accessing certain public databases. The James E. Martin Aquatics Center offers $20 off a 3 month pass or $100 off an annual pass for Auburn Alumni Association members. I am not an Auburn University graduate—may I still join the association to support Auburn? Yes! We have more than 4,000 non-graduate members. I graduated from Auburn University Montgomery. Can I join the Auburn Alumni Association? Yes! You may join AUM’s association, the Auburn Alumni Association or both.